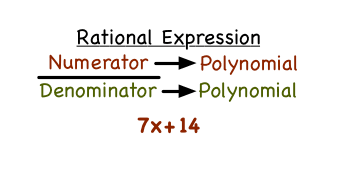 Got a fraction with a polynomial in the numerator and denominator? You have a rational expression! Watch this tutorial and learn how to identify a rational expression. How Do You Divide Monomials Using the Greatest Common Factor? Simplifying a rational expression? You could divide the numerator and denominator by the greatest common factor (GCF). In this tutorial, you'll learn what you need to do to simplify a rational expression by factoring out the GCF!